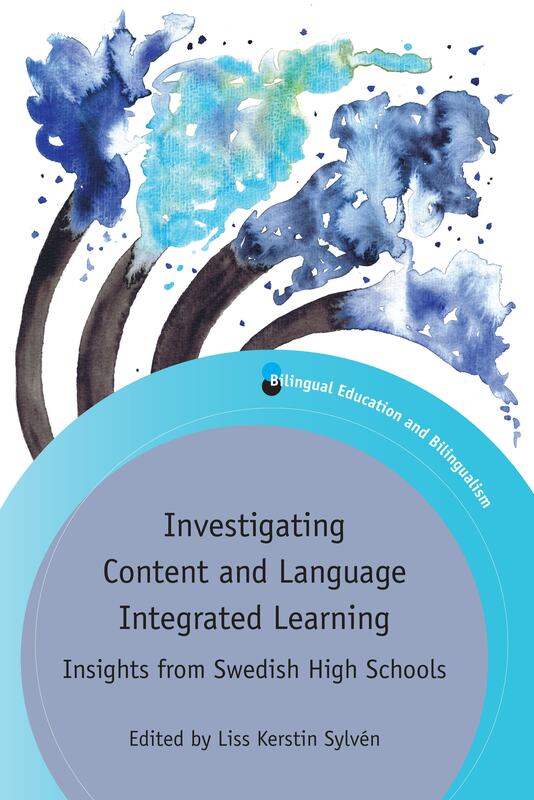 This month we published Investigating Content and Language Integrated Learning edited by Liss Kerstin Sylvén. In this post we ask her about her research on Content and Language Integrated Learning (CLIL) and the process of putting together an edited volume. How did you first become interested in studying CLIL? The first time I ever encountered CLIL (which was at a time when I had never even heard of the concept) was when I substituted as an English teacher at a Swedish upper secondary school, and one of the teachers there told me that they were planning to start using English as the medium of instruction in some non-language subjects. I remember my reaction being a big Why? Why should Swedish teachers, at a Swedish school, with Swedish students use English as the medium of instruction? That was the starting point for my interest in studying effects of CLIL, and very soon after this first encounter with CLIL, I wrote my bachelor thesis on the topic. Why did you feel this was an important book to write? There are so many uninformed views on CLIL, and often it is seen as only good or only bad. In other words, many people see it as black or white. What is important with this book is that it describes a unique, longitudinal project which has resulted in a huge number of interesting findings. The most important of them are found in this collection, and together they show that CLIL is far from black or white, but rather represents a number of nuances that need to be taken into account in order to fully understand what CLIL is, can be, and can do, in a certain context. Why is the Swedish context a particularly interesting one to research? What can policymakers in other countries learn from this example? Every country is interesting in its own right from the perspective of effects of CLIL. Sweden is interesting not least due to the fact that English is so widespread in society and the level of English proficiency is generally high. An interesting question, then, has been what role CLIL can play in our society. The brief answer is that CLIL can play an important role, but it has to be done in the right circumstances. For instance, teachers need to be sufficiently prepared and trained for CLIL teaching, and focus should be on academic language, rather than the everyday language which students encounter in abundance outside of school. Sweden is also interesting as we have seen a significant increase in the number of students with a non-Swedish background in our schools during the last decades. A pertinent question is if CLIL can help bridge barriers between this group of students and those with a Swedish background. Policymakers in other countries can tailor decisions based on our findings in the Swedish context that may be relevant for their own context. By reading the volume, they will hopefully become aware of the very important role the local context plays, and that decisions need to be based on them, not on results from contexts different from their own. As you compiled your book, did anything in the research particularly surprise or intrigue you? What has surprised me throughout the work with the project, on which the book is based, is how positive everybody involved in CLIL seems to be about using English as the medium of instruction part of the time in school. Students, teachers, administrators – all have a very confident view of CLIL, and this, of course, is highly interesting from an educational viewpoint. With a positive mindset, teaching and learning is definitely facilitated. Putting together any edited volume is a major undertaking. How did you find the process? I would lie if I were to say that it was an easy process. It was not! Primarily I think the fact that we are as many as fourteen contributors to this volume, played a role in making it quite complicated at times – who had done what? Who needed a reminder? Who was waiting for feedback? Etc. However, the multitude of viewpoints presented by each and every one of us is, of course, also one of the strengths of this book. And, the support given to me as the editor of the book by Multilingual Matters throughout this entire process has been invaluable. I have learnt so much by working with this volume, knowledge that I do not want to be without! What advice would you offer to an academic writing or editing their first book? Make sure that the topic is one that you really, really care about! Find a good publisher who is enthusiastic about the idea! Once there is such a topic and such a publisher, just go for it. Yes, it entails a lot of work, but in the end, it is definitely worth it. You painted the image on your book cover yourself. Have you been painting for long? What was the inspiration behind this piece? To answer your first question, I have always painted! Some periods more, some less, but it’s always there as my favorite escape from stress and problems of any kind. When I paint, I think good thoughts, and I often unconsciously come up with new ways of looking at things. The motif for the cover of the book came to me very early on in the process. When I realized we were going to get the book published, I started seeing it as it would look on the bookshelf, and I saw it pretty much as it now looks. I have tried to illustrate the move from seeing CLIL as something that is either black or white, to something full of shades of various colors. I couldn’t have been happier than when you all agreed to actually use it for the cover of the book! 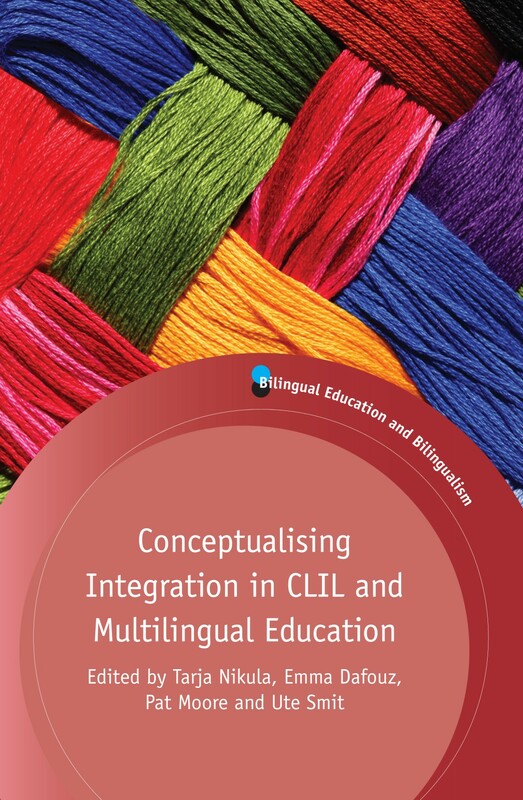 If you found this interesting, you might also like Conceptualising Integration in CLIL and Multilingual Education edited by Tarja Nikula, Emma Dafouz, Pat Moore and Ute Smit.